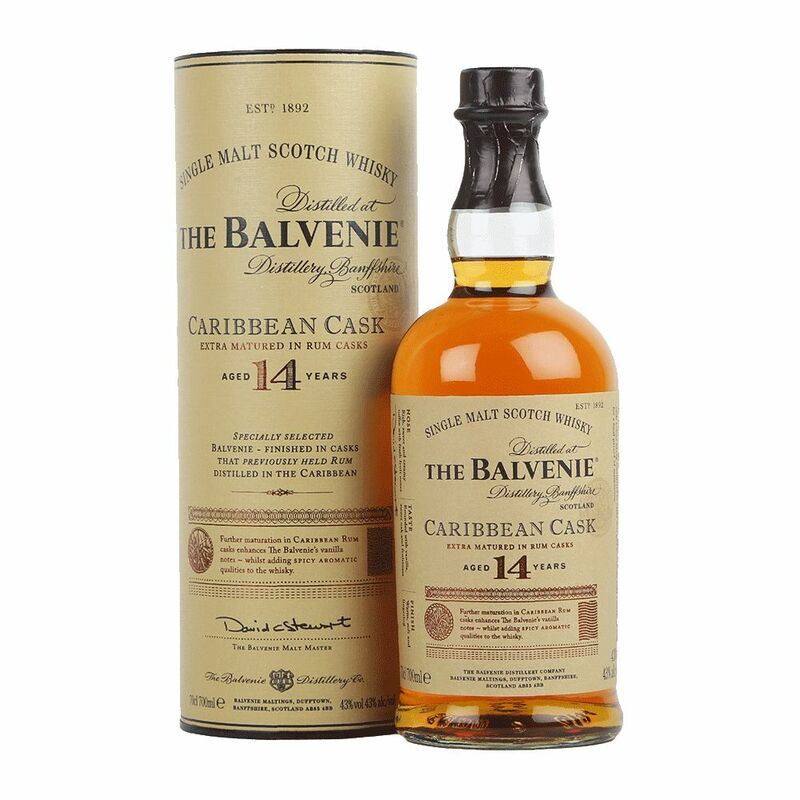 Spirits The Balvenie 14 Year Caribbean Cask Speyside Scotch - Royal Wine Merchants - Happy to Offer! A 14-year-old limited-edition Balvenie which finished its maturation in casks which had previously held Caribbean rum. Expect vanilla and toffee notes as the rum contributes extra sweetness to the flavours.